These are just some reminders I learned from Software Engineering that I feel are applicable to other situations. No silver bullet / Lesser of the necessary evils. There is no perfect solution sometimes, only best practices. 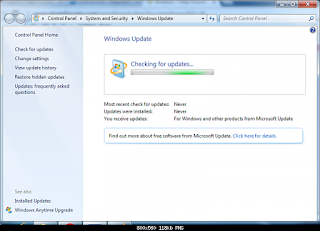 Manually download and install the following patches. I recommended to disconnect your PC from the internet and do a restart before you install these. 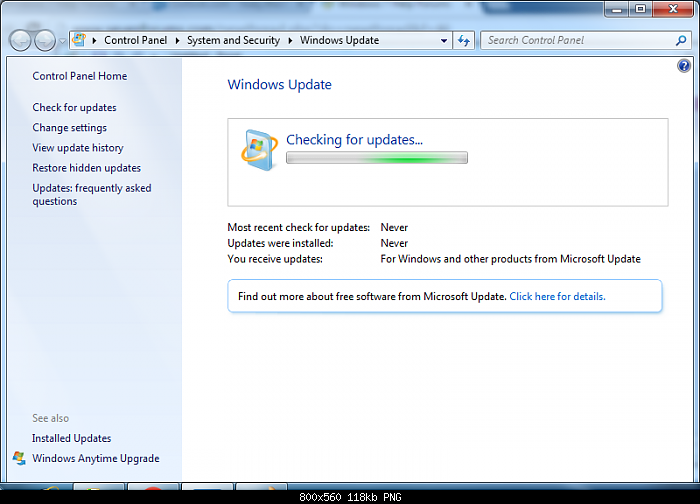 If you still have issues after that, then try WSUS Offline to download and apply the updates. For a walkthrough tutorial and more information, see this video. 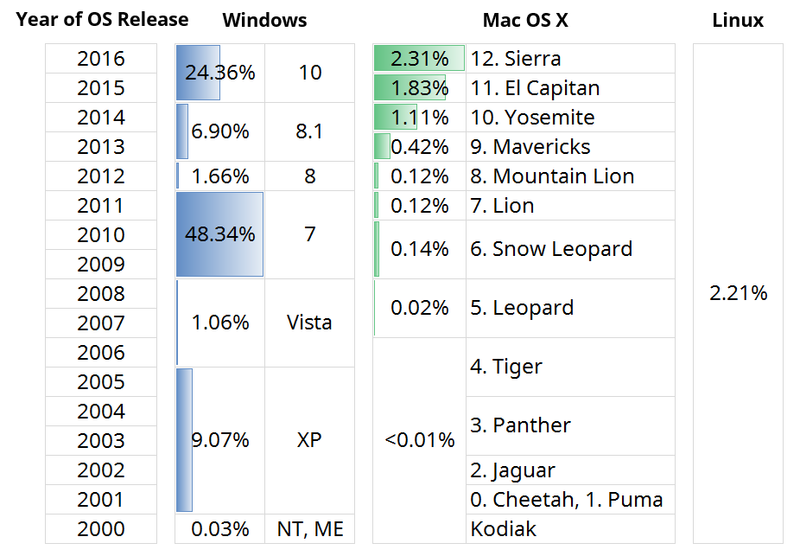 Here's a nice chart I made to show the fragmentation of desktop operating systems - so I'm combining what the current market share is for each O.S, against when it was released. 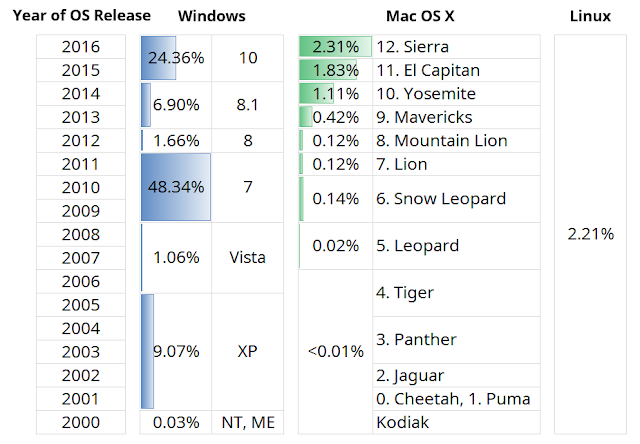 Basically what we are seeing here is Windows users are running some of the oldest operating systems available, whereas the Mac creates a trendline. Information for Linux isn't available, but generally they are patched very fast, and account for a very small amount of desktop computers on the internet. I've explicitly not included other operating systems older than 2000 because they are less than 0.01% usage share. It's the best phone I've ever had. Blazing fast. I haven't noticed any lag at any point, and taking photos is instantaneous with a click. My brain takes a moment to update to realise it's already taken the photo. I do have an antivirus installed as well and this does not seem to have added any lag. At one of my house shares, I do notice that when updating apps on the Google Play Store, it downloads them extremely slowly, but I think this is a router problem because the router is always dropping out and has a ping of 90ms. Everywhere else it works fine (where I have more like 5ms ping), and on tethered WiFi it also downloads fine. I've not really used the Google Assistant much, I only rarely use it for setting timers which is fairly straightforward. The fingerprint sensor works pretty well, you just have to make sure you get your fingertip fully on the pad otherwise it will not register. Direct Boot ensures you can still get alarms even if it reboots and is encrypted. All features here. My main reason for the Google line is because I always want the latest O.S. updates. There have been 2 updates so far, it downloads and installs them in the background which can take about an hour or so, and then it just needs a single reboot, which is much better than waiting for all apps to optimise on a black screen. So I haven't yet needed to flash any images. I've never actually had my one on less than about 30% charge, but I've never had it reboot or shutdown on its own anyway. Bear in mind I do keep the phone on low brightness, use the data saver, battery saver and Greenify app regularly, and I reboot it every day after doing manual app updates, and I've disabled a lot of notifications and permissions (I have about 300 apps installed). Only 2 times an app has crashed but just starting the app again works fine. What about the lens flare issue? I just looked over all my photos taken with it and haven't seen any lens flaring. 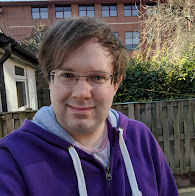 I know someone else with the Pixel as well who has taken some photos, I notice normal lens flare in one of his photos. See this link (some of them are DSLR so check the photo comment for which one he shot it with). 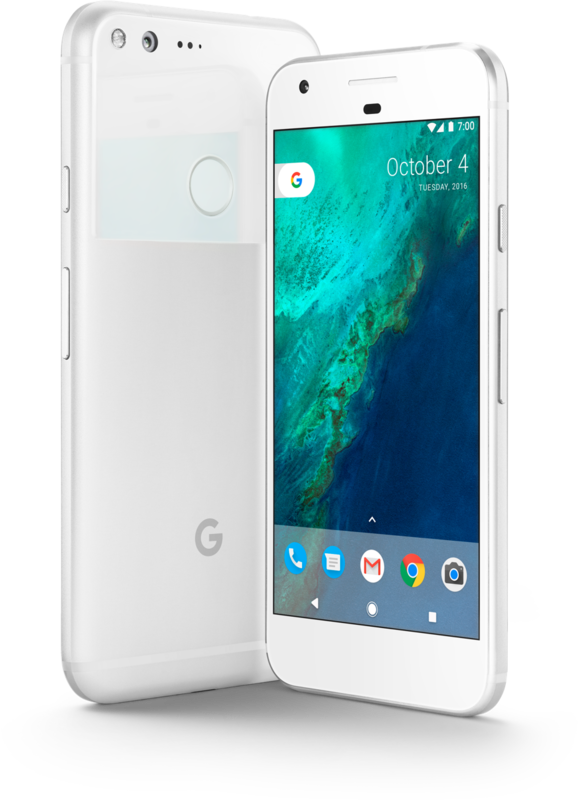 The Pixel is a good size I think. It's slightly bigger than the iPhone 7, and slightly smaller than the iPhone 7 Plus, it felt the perfect size, my hands are too small to hold a huge 5.5" phone. The Nexus 5X at 5.2" was on the comfort limit. Rather than have a bump, it slants at the back, but it is not noticeable unless you're staring at it. I've just got a silicon case for it because it is very smooth-surfaced too. I went for the Very Silver model this time, even though all my previous phones have been black, just because I wanted something different and more shiny and clearly distinguishable - and to show it off a little bit (which is why I got a clear case for it rather than a Live Case). The box includes a USB-C power charger, a USB-C to USB-C cable, and a standard USB-A to USB-C cable (which they add for doing data transfer with the a little USB-A to USB-C adaptor provided). So this means you don't need to get an extra cable to flash it with your PC. This does mean you can't charge from a USB-A power charger, unless it is an unofficial 5.0V DC and 2.1A charger. I transferred from a Nexus 5X which took about 1 minute to move over all my custom music and pictures. Just next time I need to remember to disable my 2FA and Authenticator codes before doing the factory reset rather than after. The rest of my data was sync'ed with my Google account so no issues there at all.